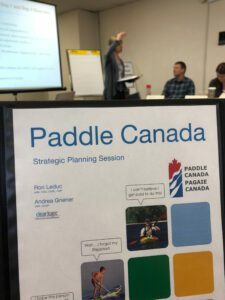 The board of directors, program committee chairs and staff, gathered for two days in Kingston April 6-7 to discuss the future of Paddle Canada. The weekend was a great success with some amazing work accomplished. 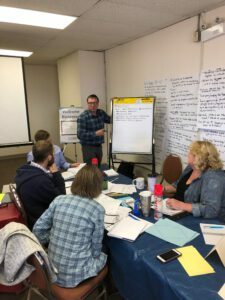 We have the beginnings of a new Vision, Mission statement plus some agreed upon priorities, goals with measurable outcomes. We were led through the process by an incredible team from ClearLogic Consulting, Ron and Andrea from Timmins, ON. 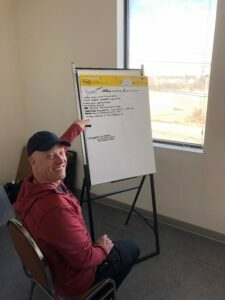 The process began back in December 2018 with a steering committee from the board (Jeff , Brian, Jarrod and Darren) and Executive Director, Graham Ketcheson. 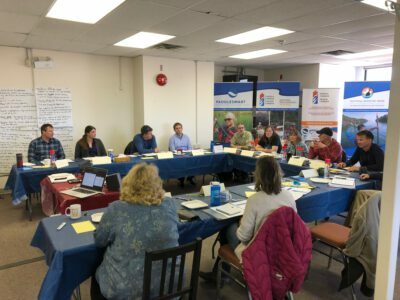 We were able to engage members, stakeholders and partners and their valuable input throughout the winter. All of this was brought to the table and commonalities of strengths, opportunities, weaknesses and threats were all identified. 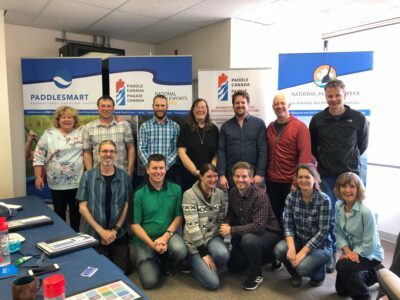 The outcome will be an amazing new three year plan for the board and staff to follow to enable us to continue to be the great national organization we are, taking us up to our 50th anniversary in business in Canada. A big thanks goes out to Ron Leduc and Andrea Griener of ClearLogic for their donation in kind of service to us. We are so appreciative of your desire to donate time and expertise to our organization. We also would like to acknowledge the time given to travel and work long days by our volunteer committee chairs and directors and finally to our members and stakeholders who took the time to provide input into this process. More updates on this plan will be shared soon.